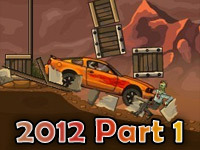 Smash your way to victory in this zombie killing game – Earn to Die 2012 Part 3! 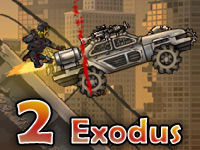 Upgrade your vehicle and purchase new vehicles to make it to the end. Be sure you have plenty of windshield cleaner – you’re going to need it! 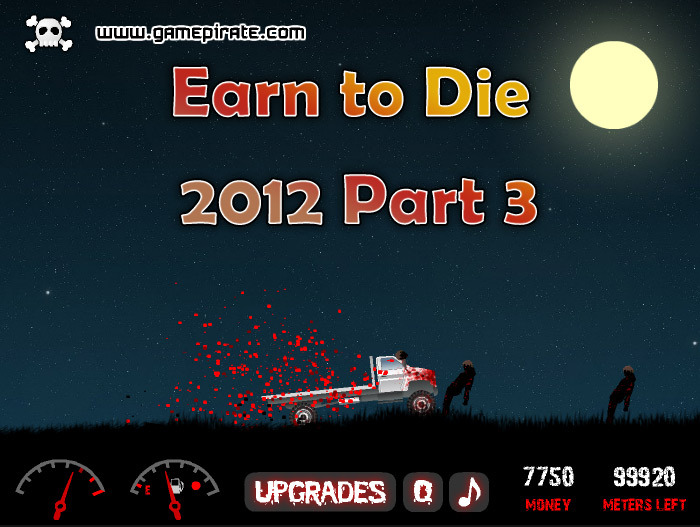 When you first start to play Earn to Die 2013 Part 3, you are provided with $5,500 starter money. This is enough money to purchase your first vehicle and upgrade one or two parts. 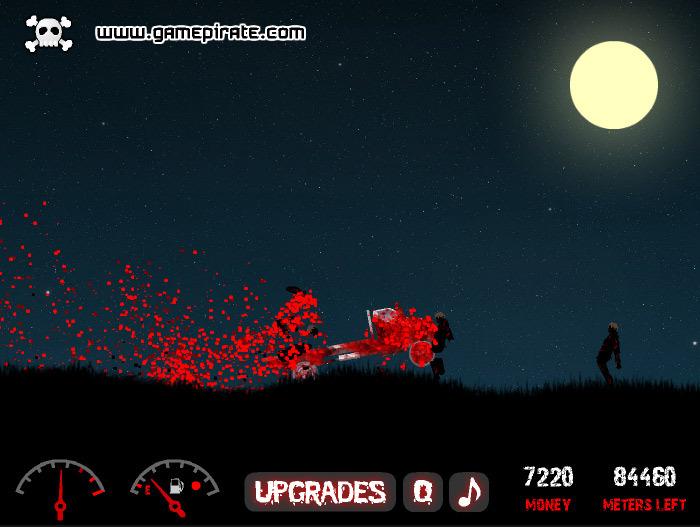 Then, smash through the hoards of zombies blocking the path to the goal line to earn more cash! Continue to upgrade parts on your starter vehicle to ensure you make it all the way to the end in order to unlock the next vehicle. 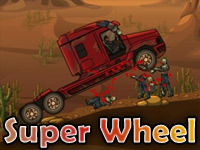 There are three vehicles you can use throughout the game – a van, a flatbed truck, and a tanker truck. This also means that there are only three levels, however each level becomes increasingly more difficult to complete, and the upgrades become more expensive! 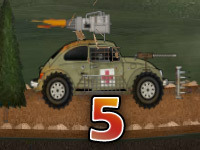 Each vehicle has a few upgradable parts, however you cannot transfer your upgrades from vehicle to vehicle. 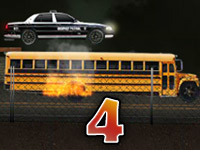 Similar to previous versions of this game, when you purchase a new vehicle, you will need to begin the upgrades from scratch. 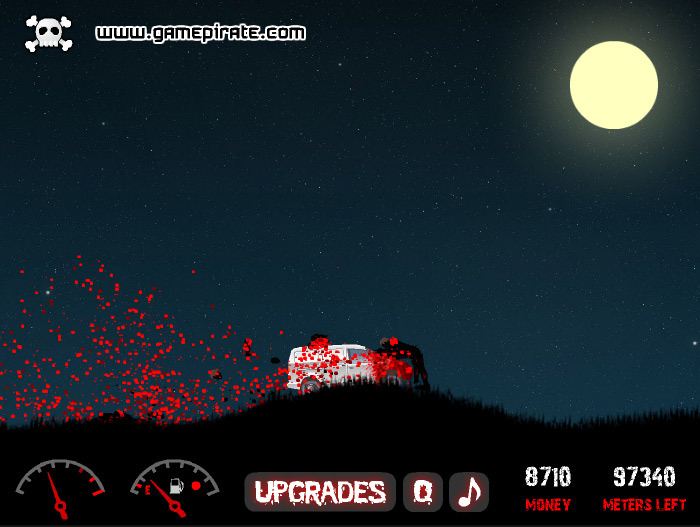 The controls in Earn to Die 2012 Part 3 are very basic. 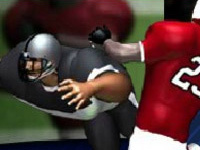 Use your up arrow key to accelerate your vehicle and the down arrow key to hit the brakes. 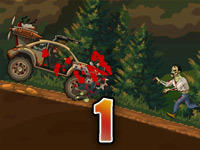 Press the left and right arrow keys to control the vehicle’s tilt – which can become quite difficult on this hilly terrain. Be careful of flipping your vehicle over! 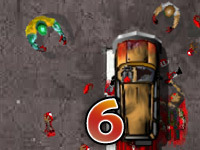 If that happens, you will use up all of your fuel trying to correct it, which will end your turn. 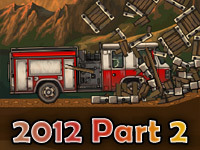 Once you have unlocked the tanker truck, you can then activate it’s rocket launcher by pressing the spacebar. Due to the difficult nature of the game, here are a few hacks and tips that you can use to make things a little easier for you.